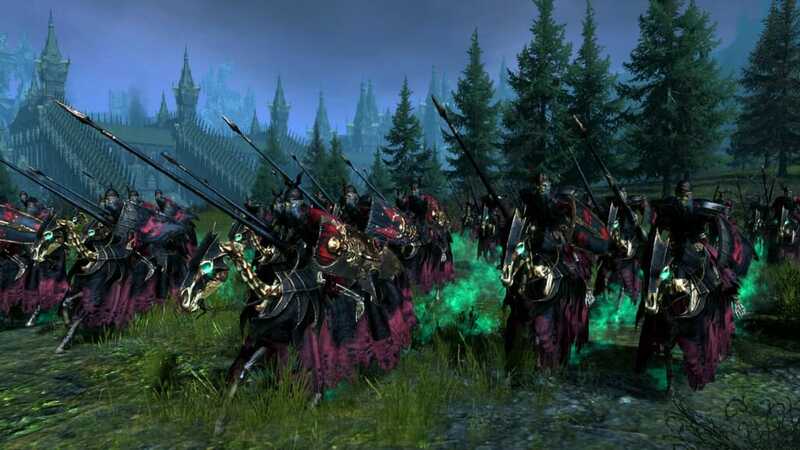 In the forsaken lands of Sylvania, the Undead battalions of the Vampire Counts gather. Upon fen and moor, creatures of darkness that have haunted the nightmares of Men for millennia break free from ancient cairns and age worn mausoleums, thundering the ground beneath them and eclipsing the moon as they spread their tattered wings and take to the skies. In the eternal gloom of ancient tombs can be heard the scrape of bone on bone, wordless moans, and the clank of rusted armour. The unliving host advances, a tide of resurrected corpses, driven on by necromantic magic and the immortal will of the Vampire Counts. The presence of the living dead is a corruption upon the face of the world and as they expand their holdings, the very land they occupy is transformed. Their advance is heralded by encroaching mists no wind can displace, trees twisting and buckling as though in agony, and a gathering darkness of supernatural perpetuity. In battle, they are a fearsome force to behold. 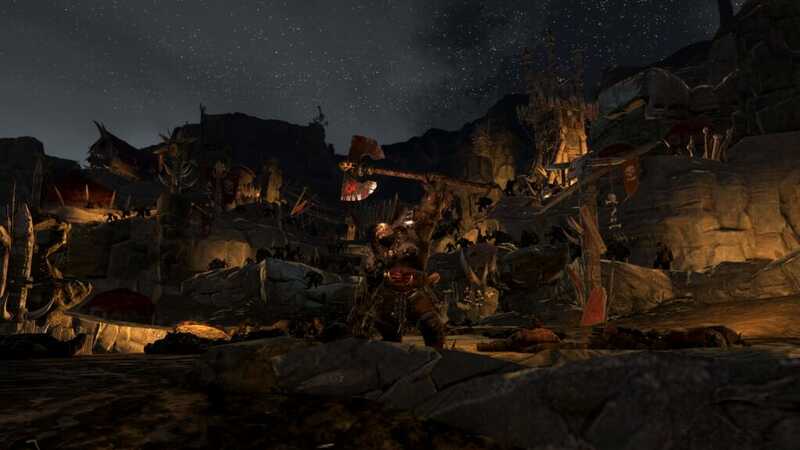 Legions of moldering soldiers wear down their enemies without fear or hesitation whilst colossal, contorted aberrations and bat-winged beasts crush all who dare stand in their way. All tremble before the unliving masters of Sylvania, for they are a blasphemy against nature and reason. Those that attempt to stem their relentless onslaught will soon learn that there are fates in this world that are worse than death. The Midnight Aristocracy are masters of Death Magic and Necromancy and those that fall before their might will soon rise again. Where once stood defiant enemy soldiers now stand twitching corpse-puppets devoid of any determination save to serve the morbid fiends that now command them. Players choosing the Vampire Counts will be able to select from the following Legendary Lords with which to lead their Grand Campaign. Mannfred Von Carstein exhibits a characteristic that, in addition to his Vampiric speed and strength, is exceedingly dangerous. That characteristic is cunning. Whilst others of his bloodline spent aeons bickering and infighting, nearly destroying the dynasty in the process, Mannfred devoted his efforts to deepening his knowledge of necromantic lore. He made unholy pilgrimages to the ancient tombs of Nehekhara and the forgotten city of Lahmia, where the secrets of the Liche Priests were wrested from desiccated papyrus and ancient scriptures written on sheaves of tanned human skin. During this time he was able to conceal his dark gifts by travelling in the guise of an Imperial Lord. The only hints left to his true nature were hushed whispers of exsanguinated corpses found here and there where an unnamed Lord of prodigious wealth had passed through not long before. When Mannfred returned and revealed himself fully, he was transformed almost beyond recognition – his face contorted and corpse-like, his bare scalp writhing with necromantic power. It is said that the end goal of power is power itself. In no being, living or dead, is this personified more singularly than in Heinrich Kemmler. An avid enthusiast of the necromantic arts from his youth, by the time he was a man his command of the nefarious, morbid magics that rule the dead were powerful almost beyond equal. His ascendant star led him to defile the most ancient and secret of tombs in search of the forbidden knowledge that he sought so fervently. In time, his rivals banded together to engineer a defeat that left Kemmler broken in both body and mind. Half-sane and disfigured, the man who once called himself Lichemaster spent a great many years wandering the Grey Mountains as little more than a beggar. In due course, subtly guided by forces unknown, the haggard necromancer came upon the monolithic burial mound of a once-great Chaos Champion. Here, Kemmler struck a terrible pact with the gods. They would restore his health and give to him power greater even than he had previously lost and in exchange, he resolved to do their bidding, becoming a tool of unilateral destruction. Now, once more, hushed whispers of the Lichemaster send shivers of fear down tavern-goers spines, and plague their children’s minds with terrible nightmares. – Embrace your corruption! Certain Vampire Counts heroes and buildings generate Vampiric Corruption within campaign map provinces. Travelling through uncorrupted terrain causes attrition and for this reason, it’s wise to send Vampire Count Heroes ahead to spread corruption. Certain buildings can also generate Corruption in adjacent regions, reducing public order in enemy territory. If this is left unchecked, it can lead to handy Vampiric rebellions. – Vampire Counts field no ranged weapons at all. 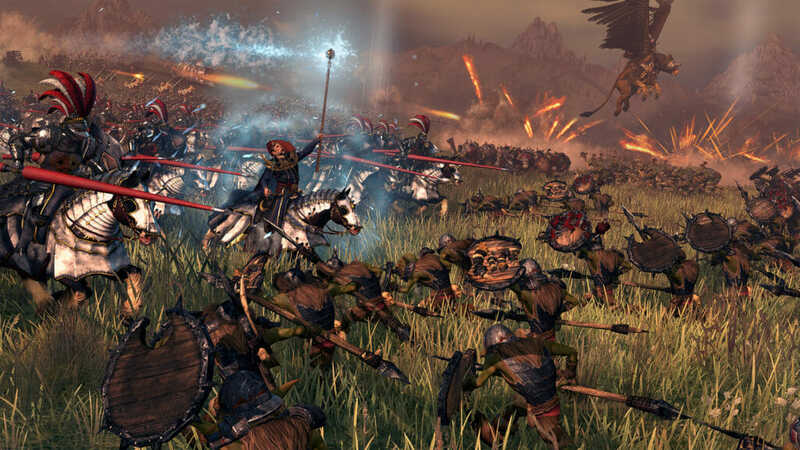 However, their unique combination of solid infantry, fast-flanking cavalry, terror-causing units, powerful magic, immunity to panic and some of the best flying units in the game, means they’re nevertheless a force to be reckoned with. – Even death may die… One of the Vampire Counts’ greatest military strengths is their ability to raise the dead. This is useful in battle as your Necromancers can bring extra units of zombies and skeletons into play, but it’s also a way to instantly recruit full units into your army on the campaign map wherever you are in the world. Upon the walls of the Vampire haunted keeps of Sylvania, deathless warriors clad in screeching rust-gnawed armour patrol the walls tirelessly. These dread sentries are the Grave Guard – Wights drawn from their ancient tombs to act as guardians for their Vampire rulers. Long dead, their physical bodies decayed aeons ago. Now, these eerie sentinels are composed of time-bleached bone, tattered rags of flesh and enchanted blades, held together by necromantic magic powerful enough to outlast the centuries and the countless battles they have fought. Spoken of in hushed whispers by night-watchmen and grave-keepers, Crypt Horrors are, thankfully, a rare sight. They are, in fact, Crypt Ghouls that have undergone a terrible transformation. The only way for a Vampire to coerce a lowly Crypt Ghoul to undergo such a monstrous evolution is to open their own veins to the beast, letting them sup upon their own immortal blood. As such, a Crypt Horror is an abomination reviled by all but the most desperate members of the Midnight Aristocracy. 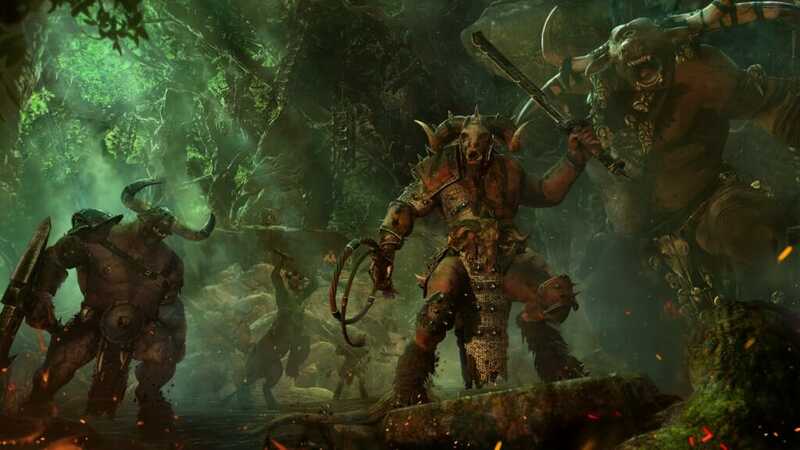 If it were not for their incredible strength in battle, their regenerative capacity, and the rotting poison that courses through their gore encrusted fangs, their loathsome presence is one that even the lords of Undeath would surely avoid. Within every Vampire’s soul there lies a ravenous, slavering hunger, a drive to feed on the blood of the living that cannot be ignored. The only shackle preventing utter submission to this thirst, is humanity. To control this, most Vampires enjoy ideas of aristocracy, privilege, or debased forms of martial honour; clinging to whatever vestiges of their past lives they can. Some however, choose to abandon themselves to their inner urges, allowing their bestial nature to overcome them, and transform them wholly. Unbound by human form, they devolve to become a towering, knotted mass of muscle, claw and tooth capable of crushing a chariot as if it were made of paper. It is said that Vargheists are the darkness in a Vampire’s ragged soul made manifest. Vampire siblings not slain outright, are imprisoned in the catacombs far below the von Carstein castles, sealed in stone sarcophagi and forgotten… As warpstone tainted water leaks into the baroque cocoon, a dread change takes place. What emerges centuries later is no longer a Lord of the Undead, but a bestial creature of knotted muscle with a leathery wingspan. 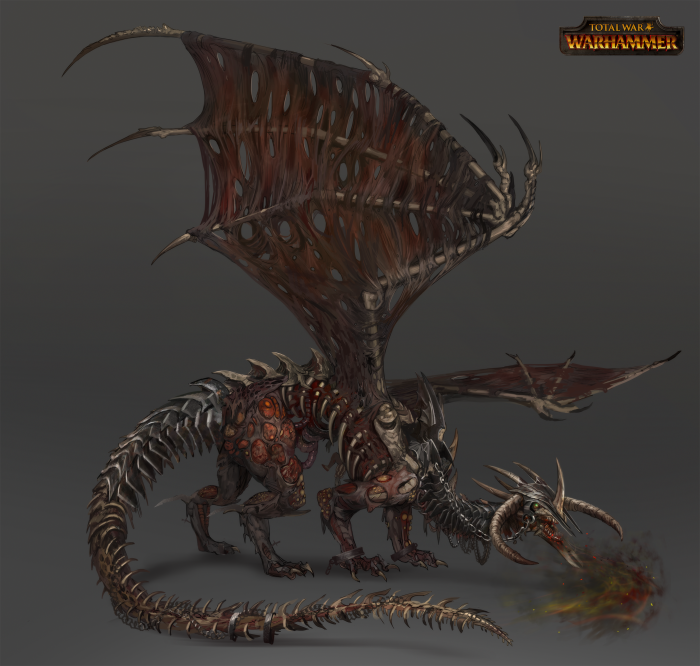 Though each Vargheist emerges from its prison far stronger in body, it is invariably weaker in mind. Thoughts of vengeance on their incarcerator have long since been replaced with a desperate, frenzied thirst. In the hidden reaches of Sylvania, titanic bats the size of Dragons soar out from their caves to hunt horses, caravans and pegasi. It is the mortal remains of such monstrosities that the necromantic lords bind to their will. In life, they are terrifying. In death, they are almost unstoppable. Soaring above the clouds on tattered wings, with decomposing flesh barely to clinging to exposed bone, these apex predators grant true air superiority to their riders, and send all others fleeing for their very lives. 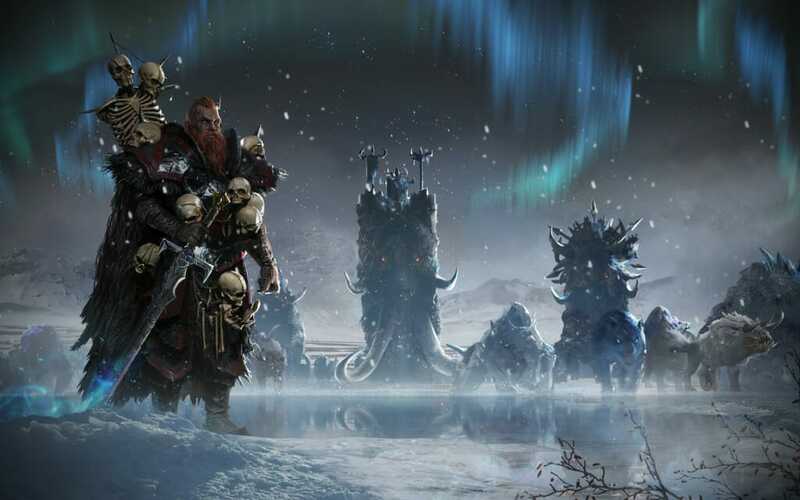 o Faction-wide trait: ‘Ancient Cunning’ – With Mannfred as your leader, all of your armies will move more swiftly on the campaign map and units of Grave Guard and Black Knights cost less dark magic to maintain. 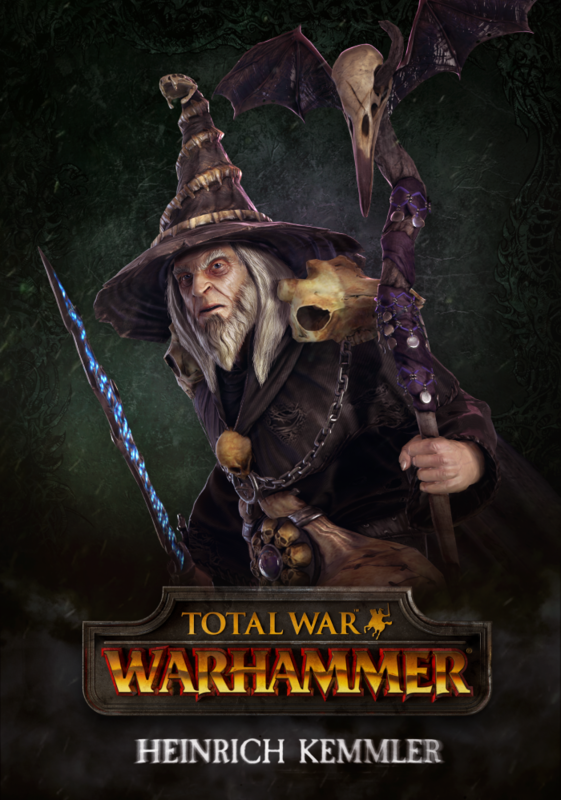 o Faction-wide trait: ‘Lichemaster’ – Having recognised the limits that mortality placed upon him in his early years, Kemmler made it his life’s work to escape them. 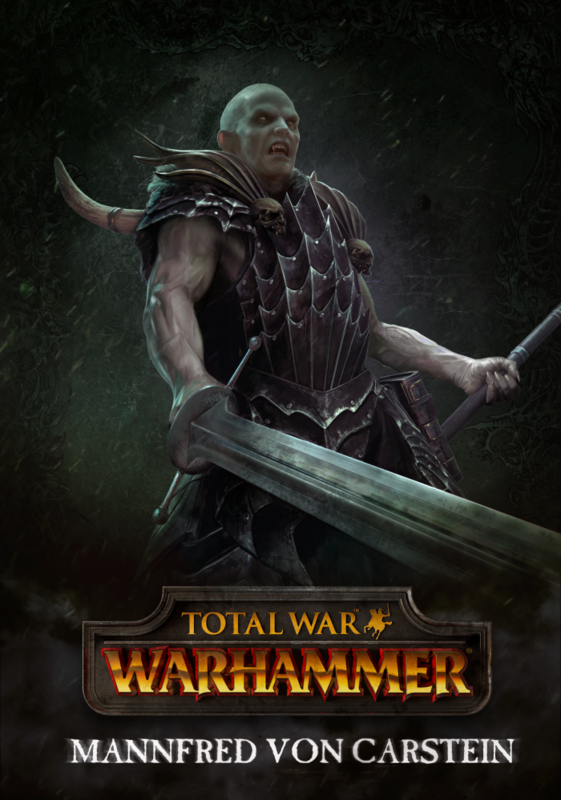 If you choose Heinrich Kemmler as your Legendary Lord, the cost of raising dead is reduced and Necromancers are cheaper to maintain. *Please note that whilst at time of launch, this Roster will be complete, we will be adding an additional unit as free downloadable content at a later date. Follow us on social media for news and announcements.